This scheduled reports feature utilizes a customizable template approach. 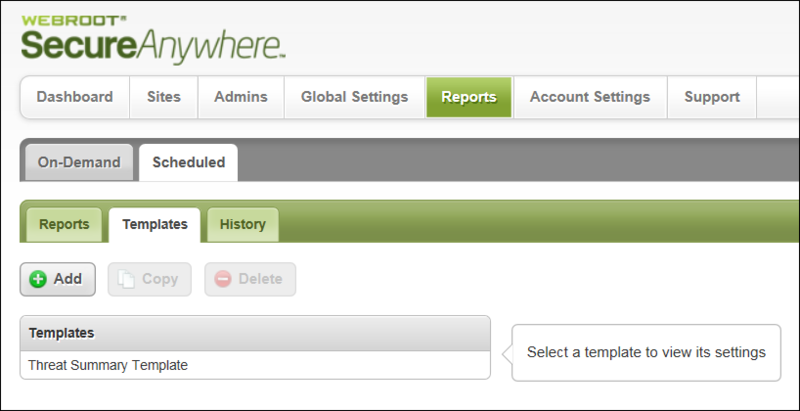 Easily add or remove pages, or select data and time periods to build up a report with the content you need. Default templates will be included which can be modified, copied or deleted as needed. New templates can also be created. The system displays the Reports pane with the On Demand tab active. The Create Template window displays. In the Name field, enter an identifier for the template, for example, Summary Template. In the Title Page Text field, enter the text that displays on the cover page of the report. In the Page column, use the Up and Down arrows to determine how many pages should be included in the template. In the Data Field column, from the drop-down menu, select the type of data that should be included on each page. In the Chart Type column, select the type of chart that the report results should display in. For example, select Bar, Column, or Pie. For the Device Activations and Threat Detection History, additional chart types are available. 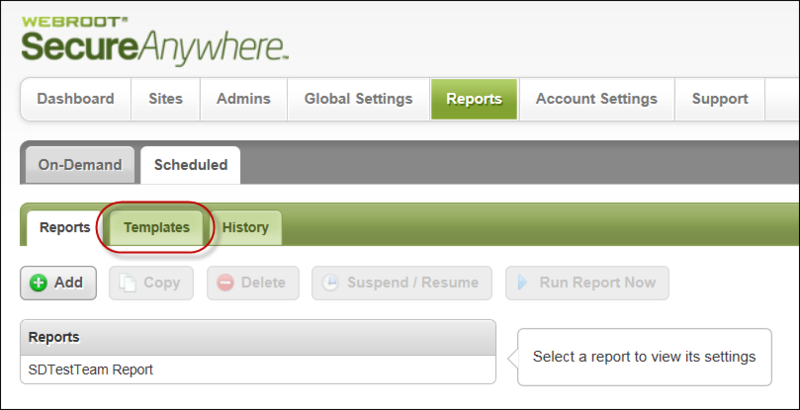 In the Time Period column, if needed, select the time period that should be used for the report. Note: Specific time periods are only available for the Device Activations and Threat Detection History data types. The following table describes all the reporting options. To disable the Remediation status, the Automatically quarantine previously blocked files option, must be turned off.